Lincoln Silky Shine 2 in 1 Shampoo & Conditioner contains a high quality shampoo which cleans, nourishes and conditions, and conditioning agents help to strengthen the hair. After use you will find your horse's hair soft, manageable and silky. 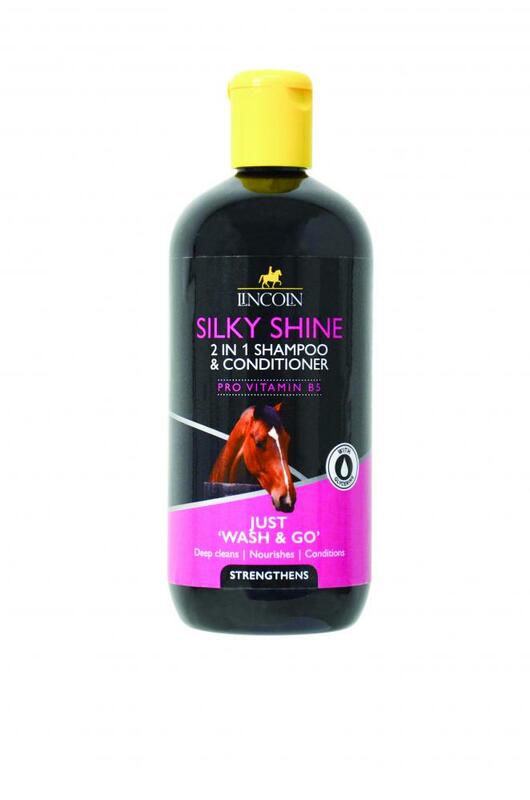 There are currently no questions for Lincoln Silky Shine 2 in 1 Shampoo & Conditioner for Horses - be the first to ask one!